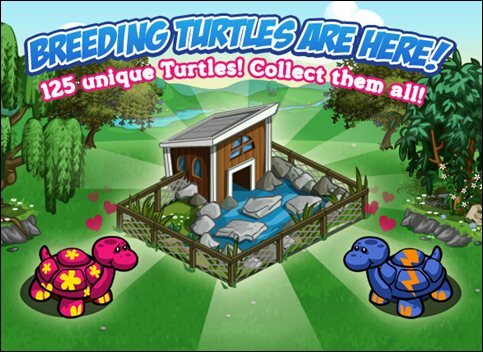 A new animal pen has just been released by FarmVille and this time it will be for Turtles. 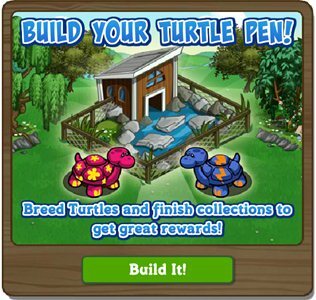 Yup, it’s a Turtle Pen and now we can raise and breed them make custom breed line of turtles just like the Sheep Pen and Pig Pen. 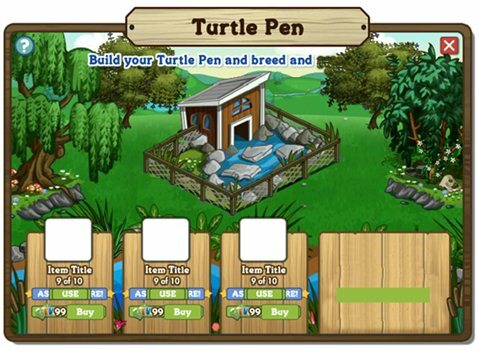 Upon entering the game a popup message will appear and you will then have the option of placing the new Turtle Pen. 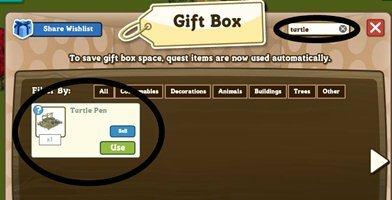 In case you missed it you will find it in your Gift Box or buy one from the Market. 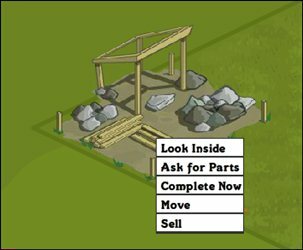 Complete Now: Spend the corresponding value of FV cash to finish it instantly. 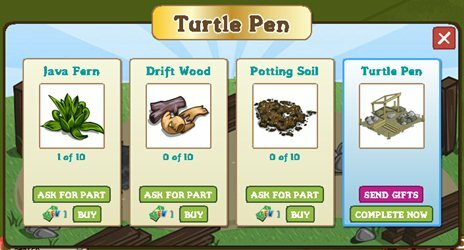 Sell: Exchange the Turtle Pen for coins. To finish, you need Java Fern, Drift Wood and Potting Soil to build your Turtle Pen.